We all want to live healthier lives, whether this means that we exercise more, eat less and watch the specific foods that we’re consuming. Unfortunately, in this day and age, it can be downright difficult to try to monitor everything we consume due to our busy schedules. Thankfully, there are some healthy and effortless swaps that you can make that not only cut calories, but allow you to nourish your body with vitamins, minerals and nutrients you wouldn’t find in the unhealthier alternative. Make it a habit in your life to swap out unhealthy foods and drinks for healthier ones, and make sure to take a little time each day to exercise and get your body moving. Coffee is an incredibly powerful stimulant, but what makes the drink unhealthy is all of the additives that most people put into their morning mug. Cream, sugar, milk, sweetener and a topping of whipped cream will sure get your caffeine fix, but it’ll easily add inches to your waist line the more that you consume. Unfortunately, coffee is one drink that most people just have to have every single day. 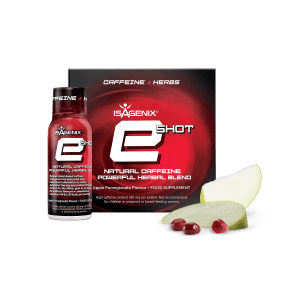 One way to provide your body with its caffeine fix is to switch from coffee to Isagenix eShots. These small and convenient liquid shots are made using naturally-derived caffeine for long-lasting and potent energy. The shot is less than 50 calories per serving and can be a welcome addition to your hectic lifestyle. You might have read or watched a range of documentaries about the dangers of white sugar. It is thought that white sugar is just as addictive as some of the hardest drugs currently available. Because of its addictive nature, it’s best to remove the sugar as much as possible. If you must make something that has to be sweet, look for alternatives that are both healthy and nourishing. Oats, for example, provide your body with thiamine, riboflavin, niacin and vitamin B6. 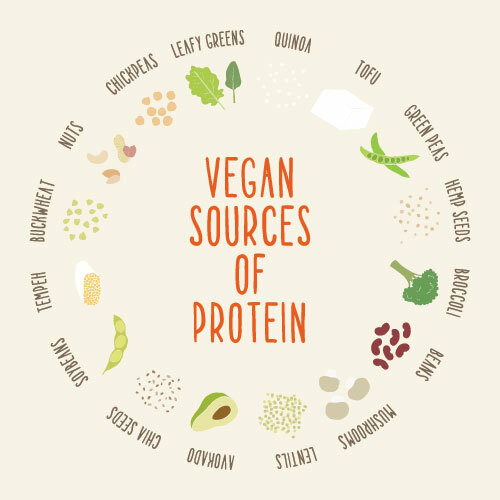 Raw protein is also an amazing alternative to sugar and can be added to virtually any smoothie, drink or baked concoction. Raw protein is essential for healthy brain and muscle support. Sandwiches are all well and good, but the majority of us slather high-calorie bread with heavy mayonnaise, dressings and pile the bread sky high with processed meats. 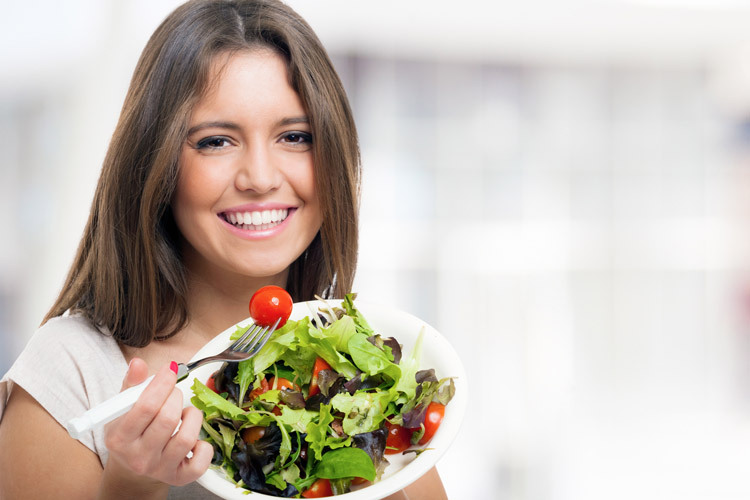 Instead of eating a sandwich for lunch, make yourself a deliciously filling salad. The best way to make your salad more filling is to add lots of green vegetables, fruits and nuts. You can also add grilled chicken or steak to the salad for a hint of protein. One of the worst calorie busters for salads is the dressing, so opt for something that is more natural and lower in calories. Tip: want more delicious recipes? Try some of our favourites here. The saturated fats found in coconut oil are crucial for the absorption of fat-soluble vitamins like magnesium, vitamin B12 and vitamin D. Vegetable oil has lots of vitamin E, but is virtually devoid of any other nutrient. Plus, most vegetable oils are so heavily processed that the vitamin E that most varieties contain are practically nonexistent. Instead, use coconut oil when cooking or adding oil to anything you create. Not only does it give your food a delicious tropical flavor, but it’s healthier for you as well. Sweet potatoes are healthier for your body than white potatoes. White potatoes are complete starch and get used up by the body as if it were pure sugar. This is why white potatoes are a problem for individuals who have type two diabetes because it can influence blood sugar levels so quickly. Sweet potatoes aren’t just delicious, but they are slow-burning and will not spike your blood sugar as much as other types of potatoes that you might have consumed in the past. Sweet potatoes can be mashed and baked just like any white variety that you’re used to eating. The typical serving of fat in regular chips is a whopping 10 grams. The oil and grease that chips are cooked in makes for a sluggish and unhealthy body, especially when consumed regularly. The problem with regular potato chips is that they’re also quite addictive and you may find yourself eating an entire bag before realizing that it’s gone. One alternative to potato chips is to switch to fruit chips. Fruit, which has been dehydrated and packaged fresh, has the same crunchy texture as a chip. Most fruit chips contain no fat whatsoever, so it’s a healthier and more wholesome option for you. Who doesn’t love ice cream? The problem comes when you really look at what ice cream contains and what it’s doing to your body when you’re trying to eat healthier. Ice cream contains roughly 7 grams of fat, which comes mostly from the creams, milks and sugars that it’s made out of. Plus, a small half cup serving of ice cream can contain as much as 200 calories. Just think about how many calories is in an entire pint of your favorite dessert treat and no wonder you might be struggling to lost weight. A better and often more satisfying option is frozen fruit bars. These bars are minimally processed and contain natural ingredients. In fact, if you’d rather not buy them commercially, you can make them yourself at home by blending together fruit and a little bit of coconut water. Add these to a Popsicle tray and freeze overnight. Milkshakes are literally drowning in fats, sugars and calories. The average sized chocolate milkshake contains over 700 calories. Just think that one medium-sized cup filled with a chocolate or vanilla concoction could be half of your day’s worth of calories if you’re watching what you’re eating. The best swap for a milkshake is a fruit smoothie. 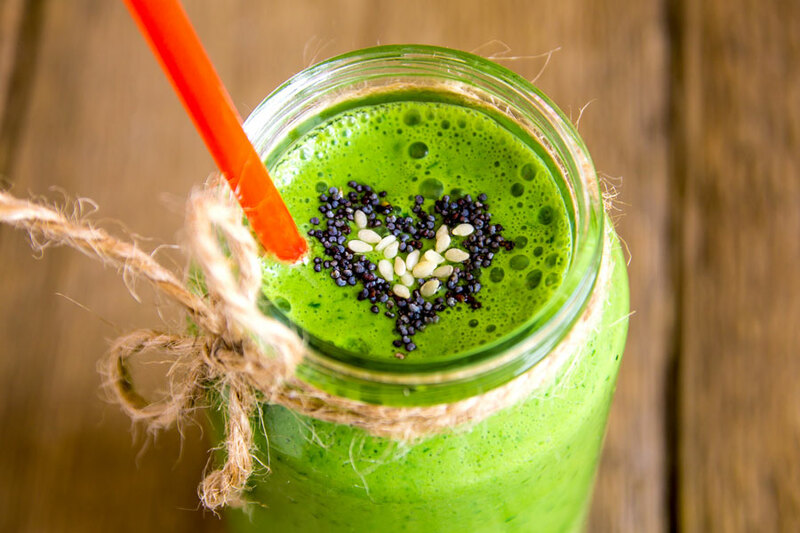 Fruit smoothies aren’t just delicious, but they’re half the calories as a chocolate milkshake and contain the vitamins, minerals and nutrients that are found in the fruits that are being used to create the drink. Most people who are watching what they’re eating look at calories, fat, sugar and carb counts. However, what most people don’t look at on food labels is the sodium count. It is scary to see that some of your favorite foods, especially soups and pickled vegetables, can contain an entire day’s worth of sodium in just one or two servings. Consuming lots of salt can result in high blood pressure and heart disease. A good majority of foods have low-sodium alternatives, so it’s best to go with these rather than the full-salt variety. There is an epidemic all over the world with our love for soft drinks. Whether it’s regular fizzy drinks, diet fizzy drinks (that has harmful sweeteners) or flavoured sodas, we’re all looking for that delicious carbonated water to wash down the foods that we enjoy. Unfortunately, a typical 500ml bottle of soda can contain as many calories as a bowl of soup or sandwich. When your drink contains just as many calories as the meal you’re eating, you know there’s a problem. Infused water is not just easy to make, but it is highly nourishing for the body. The way that you make infused water is to get a pitcher and cut up any type of fruit or extract that you want to add to it. Some of the most popular infused waters are lemon with ginger, strawberry with blueberry and lemon with mint. 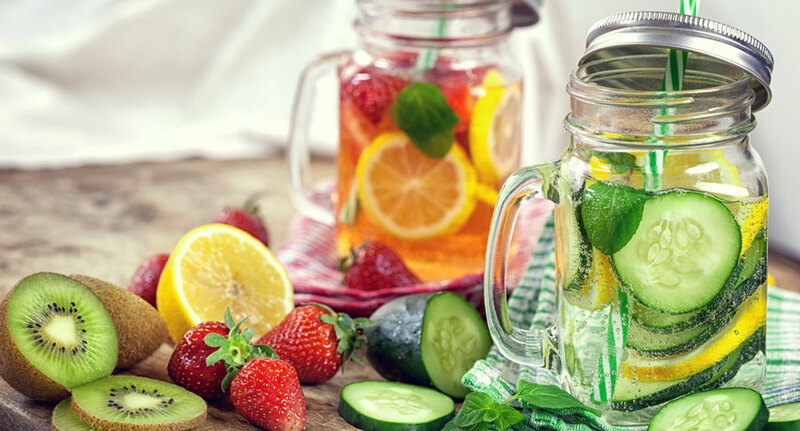 The beauty about infused water is that you are not just getting the benefits of drinking more filtered, cold water, but the water contains the nutrients and vitamins from the fruits and extracts that you’ve added to it. Note: Let your infused water sit overnight before drinking and be sure to throw it away after two to three days to avoid the fruits going bad in the water. Healthy alternatives to unhealthy options should never be boring, bland or gross. You want to make sure that whatever change you are making is something that you can stick to so that you are able to nourish your body and create the life that you’ve always wanted. Even if your goal isn’t to lose weight, you should always strive to be a healthier version of yourself and make better and healthier decisions. The saying “you are what you eat” is entirely true, especially when you consider the current population’s diet and health crisis. Making better choices is also about habit. By making small changes each day, you’re more likely to stick to a healthier routine and will go more for the healthy option in the future than the unhealthy version you used to love.